Hello mobile monstors, I am back again with some great news for all you people...! Being watchful on the wars between the IT Giants like Google, Nokia, Samsung, Apple, Motorola etc. for taking their Mobile Operating Systems up at the pinnacle, today I came across a great news when I fired up my Reader with the morning tea. INDIA based Mobile Manufacturer 'Micromax Informatics Ltd.' has recently launched the cheapest Android OS based mobile device in India. The device named as 'Andro A60' is absolutely INEXPENSIVE, full touch screen mobile device with the latest version of the Android 2.1 (Codename Eclair). The information regarding shipping out of India has not been confirmed yet. I have enlisted the OUTSTANDING features of the mobile device along with their comparison with the devices of the mobile tycoons in the current market, rest of the features are commonly available in all costly mobiles. 1. Price : Rs. 6990 which is less than $180. The price is too low as compared to the recent Android mobile devices available in the market. Read the features below and then only compare the devices. 2. Processor : 600 Mhz. Compared to Nokia and Motorola, only the devices with price atleast Rs. 15,000 and Rs. 20,000 come with processors with 600 Mhz clock speed. 3. Internal Memory : 150MB. 4. Memory Card : 2GB at purchase time. Nokia's mobile with price more than Rs. 12000 (approx. $255) comes with the 2GB memory card. So conclusively this is more affordable than that. 5. Memory Card expandable upto :32GB. This is much more than my Nokia C6 too. It supports memory card maximum upto 16GB. 6. Video Streaming. : YES. I guess this is a video streaming in the browser which will facilitate watching videos on the mobile devices. If my guessing is correct, it will be a victory over many other mobile devices like Micromax Q7, Samsung Corby which do not stream a video from Youtube. This is something I have read on the Micromax website, but after all this also depends under the situations in which the mobile device is kept. 9. Voice Assisted GPS : The device comes with the GPS system which is enabled by voice assistance while navigating using GPS. This is really ridiculous. I havent seen a mobile device of price Rs. 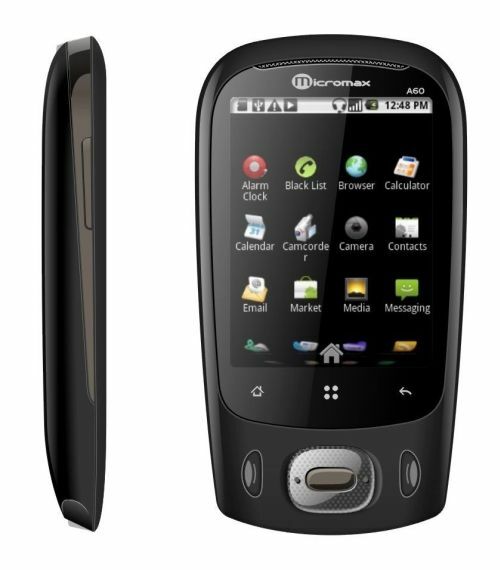 6999 with 3.2MP camera. I suspect the quality of the images though. This is a very basic model as compared to the standard android devices. They are barely matching up with the minimum requirements of the ANDROID 2.1 (eclair). It would be interesting to see the performance of the device after installing a bunch of apps on the device. Device's speed gonna be a very critical issue in this case. yeaaa....excpt the desing...dont u agree with me ???? at least the first mobile should have been designed well. 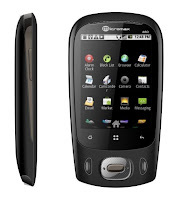 its a great phone and effort by micromax. android needs high resolution to function well, we'd need to be intricate on how we touch the screen. Are Mobile Devices the future of 'Computing'...?